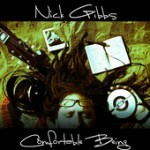 The first release of the Australian Singer Nick Gibbs. One programmed Song and two live Songs with full Band , great Stuff ! !